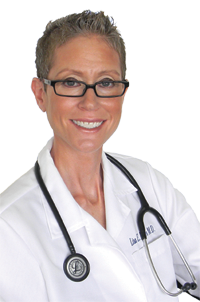 Dr. Lisa E. Heuer’s clinical expertise in the neurobiology of weight management, nutrition, and exercise physiology has made her an expert in the fight against obesity. She returns to Rockland County after training and working in New York City for over a decade. Dr. Heuer graduated from the Mount Sinai School of Medicine in New York City and holds a Bachelor of Science with Honors from Cornell University. Before entering medical school, Dr. Heuer did graduate work in Clinical Nutrition at New York University. During her time at NYU, she gained extensive experience in helping patients improve dietary habits, achieve weight loss goals, and develop fitness programs. Dr. Heuer has done research in the fields of gastroenterology, psychiatry and the pharmacological management of various eating disorders, including binge eating disorder. As a preventive medicine specialist, she has worked with children and adults utilizing dietary management and lifestyle interventions to treat multiple metabolic and psychiatric conditions, including Type II diabetes, heart disease, fatty liver disease, depression, and anxiety. Dr. Heuer is a member of the Obesity Action Coalition, a national non-profit organization dedicated to giving a voice to those affected by obesity. It is through this organization that Dr. Heuer collaborates with national leaders in the field of weight loss to increase awareness of obesity, including morbid obesity, childhood obesity, and the consequences and treatments of these conditions.